History - Gillespie & Powers, Inc.
Charles K. Gillespie (in car) with his father Charles A. Gillespie (standing). The operations of Gillespie & Powers, Inc. extends back to 1902 as the Gillespie & Daly Construction Company, founded by John H. Gillespie, father of Charles A. Gillespie, founder of Gillespie & Powers, Inc.
Charles A. Gillespie first formed Gillespie Company as a proprietorship in 1933 and later in 1938, Charles united with Frank X. Powers to create Gillespie & Powers. 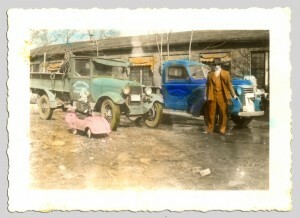 In 1950, two years after the death of Mr. Powers, the partnership was converted to the present corporation. From its inception the company operated on a regional basis involved with masonry installation services primarily, in heating systems and electric generator stations. Around the time of the formation of the partnership, the City of St. Louis, MO passed a rather rigid smoke abatement law that thrust the company into a great deal of research into the installation of new coal-burning equipment in many existing boilers. Following this, the company was heavily involved with the conversion of much of the hand fired boiler equipment to stokers and later converting much of this equipment to firing with oil and gas. From its initial home and storefront operations, the company moved into its first corporate offices in August 1961 in midtown St. Louis. It was in the early 1960s that, as a result of providing refractory repair services to a number of aluminum clients, the company expanded into the aluminum industry providing complete design and installation of aluminum melting and holding furnaces, specializing in the larger stationary type of equipment up to 150 tons in capacity. Operations at the St. Louis site were expanded under the direction of John R. Gillespie, nephew of the founder. 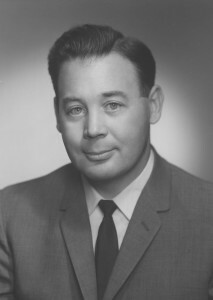 John R. Gillespie was named president of the company in 1966 and in 1968 Charles K. Gillespie, son of the founder, came on board as a partner and vice president. From that time the two managed the company through stages of systematic growth and prosperity. It was through their visions and leadership that the company integrated into the aluminum industry, beginning with refractory rebuilding services and culminating in the complete design and furnace building activities that the company is engaged in. In 2006 with the passing of John R. Gillespie the company was managed by Charles K. Gillespie until he stepped down in November 2007 and Jon R. Gillespie, the son of John R. Gillespie was named president. Charles K. Gillespie is still active in the company as a Senior Consultant. 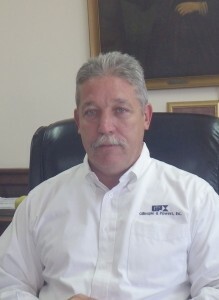 President, Jon R. Gillespie joined the company in 1980 as a brick mason. 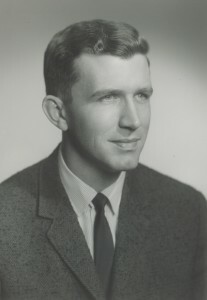 He attended St. Louis University and majored in mechanical engineering. His considerable experience in all phases of the operation will serve as a basis of continuing the management of Gillespie & Powers, Inc. well into the future. 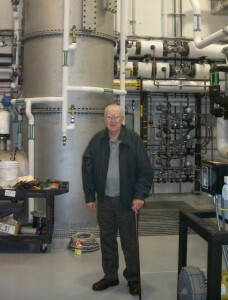 His son, Jack B. Gillespie graduated from University of Missouri, Rolla in 2011 and is currently involved with Project Management for the company. From the St. Louis point of operation, Gillespie & Powers continues to maintain its refractory masonry construction activities, as well as the aluminum industry segment, including the design and installation of melting and scrap preparation equipment. In addition, the company has masonry construction field offices in northern Missouri, Iowa and Kentucky. Their corporate headquarters in St. Louis houses the engineering offices and a mobilization center for their activities in North and South America and Asia. Approximately 75 people make up the core staff and field supervisors, whose efforts are ever changing in expanding supplemental craft involvement of specific projects during the course of their field construction activities.